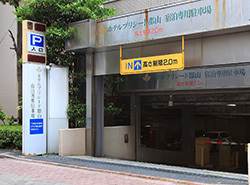 ※Car navigation system customer's contract "parking PARKING TOWN Maggy Jinya"
phone number 024-932-9980, where you can enter and enjoy smooth. The parking lot for guests is up to 2 m in height, PARKING TOWN Maggy Jinya is up to 2.1 m in height. Those who arrive by car of height exceeding 2.1 m, please contact us at the hotel front despite. 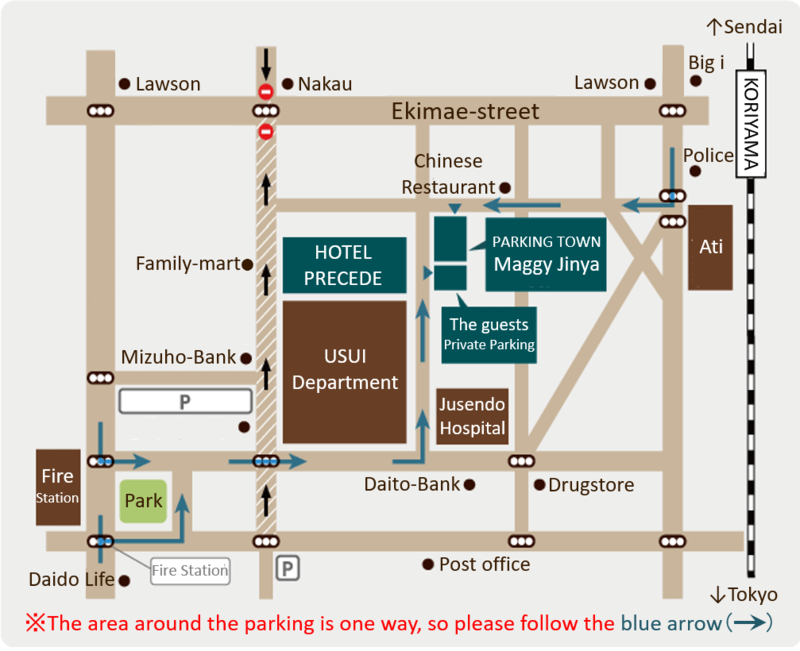 Parking fee will be 700 yen per night per one. At check-in, please tell the front desk which one was parked. 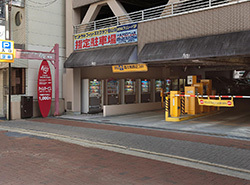 Both are unmanned automatic gates, and parking tickets are issued only for PARKING TOWN Maggy Jinya. Although it is possible to put in and out for 24 hours, we will give you a ticket or exclusive coin each time, so please tell us to the front desk. The hotel reception is located on the 2nd floor of the building on the west side of the contracted parking lot dedicated to accommodation. ※Click on the image to enlarge. 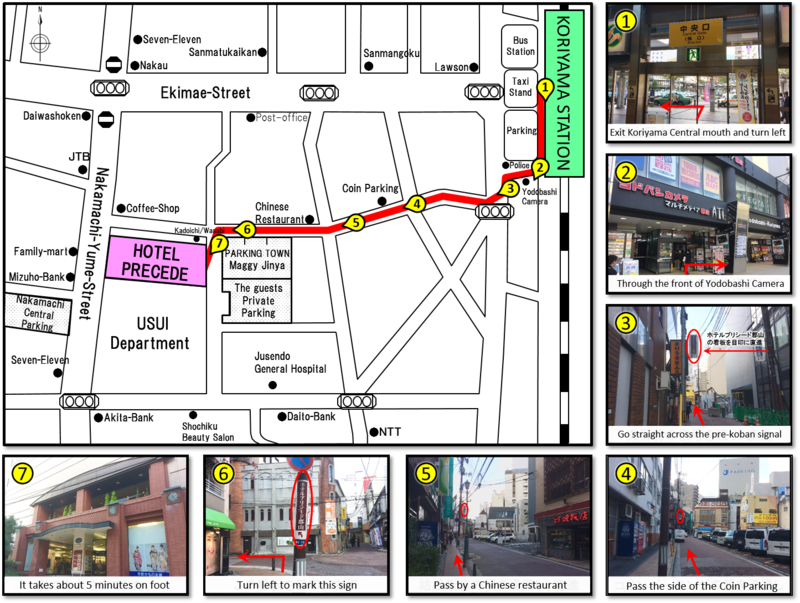 ※ Please come and see the sign of Hotel Precede Koriyama. ※ In order of the above numbers, follow the red arrow (→) and you can come smoothly. The front desk of our hotel is on the 2nd floor of the building.